When it comes to weight training it seems pretty simple from the outside looking in, pickup some heavy weights, put them down, rinse and repeat. That is a very simplistic view that is only going to get you so far. More advanced athletes and bodybuilders know that the key to seeing change and gaining more muscle is variation, keeping your body unaware and not allowing yourself to adapt. If you have reached the point in your fitness routine where you just aren’t seeing as much progress as you used to, or that your program is just too easy for you and you are looking for a challenge you should try supersets. Supersets have a million variations and you may have heard them by another name. To simply put it, a superset is an additional exercise you do right after the first one with little rest in between. It is designed to put that additional amount of strain on your muscle which will cause it to grow more as a result. 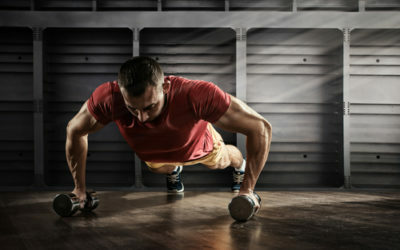 Supersets are great for a few reasons, first and foremost many of us have very limited free time, and what we do have we really don’t want to waste on exercise. 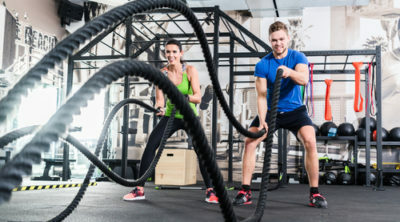 Supersets are a great way to squeeze more exercise in to your routine because you will be doing another exercise during the time you would normally be using for rest. Doing an exercise that focuses on your legs like calf raises for example then switching to another muscle group like doing curls is a great method to get the most out of this exercise. When you are doing claf raises your arms are resting, and while you are doing curls your calves are at rest. This effectively decreases your downtime helping you get more out of your time spent at the gym. If you aren’t sure what the best route to take is, your best bet is to grab one piece of equipment that you can use for entire routine. This will save you more time in the long run from switching weights or equipment. The best piece of equipment you can use for this exercise is a straight bar. Simple, easy to use and every gym in the world is going to have at least a few of these. The first exercise you are going to do is called a skullcrusher which focuses on targeting the triceps. 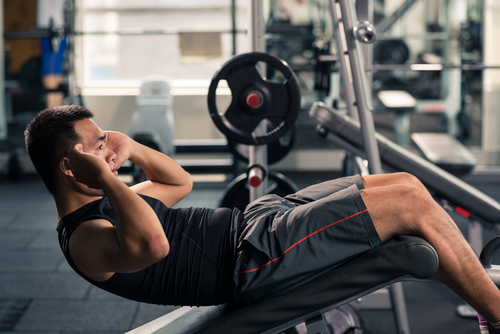 To perform this exercise, lay on a flat bench on your back and perform the exercise like a reverse curl. Start with your arms extended, weight in hand, with palms facing out. Bring the weight up, pivoting at the elbows but do not lock them out. Bring the weight slowly back down to the extended position to complete on repetition. Do this for 3 sets, 8 repetitions each. Finally, to complete this superset you can do a close grip bench press which again focuses on your arms, mainly triceps. To do this exercise, lay flat on your back like you would for a normal bench press. Position yourself like you would if you were working the chest, except you want to move your hands closer together for a more close grip. Placing your hands like this will put more strain on your triceps muscles while disengaging your pectorals or chest. Do this exercise to failure, meaning as many repetitions as you can and do that three times. The first exercise you’re going to do are simple dumbell curls. Start with the weight in your arms fully extended, with palms facing outward. Take the weight and curl it pivoting at your elbow, to bring the weight up to your chest. Repeat this exercise for a total of 3 sets, 8 repetitions in each. Simple dumbbell curls are great exercises designed to hit the long head of the biceps so we want to incorporate another exercise here that is going to work the second muscle in the biceps or the longer head. To work the longer head we are going to do an exercise called hammer curls. To do this, take your dumbbell and point one end facing the floor, to where the dumbbell is perpendicular to the floor. Take the weight and move it upwards, similar to the normal curl. Repeat this exercise for 3 sets, 8 repetitions in each.